Inventory photo taken in 1978 Photo taken January 2010. 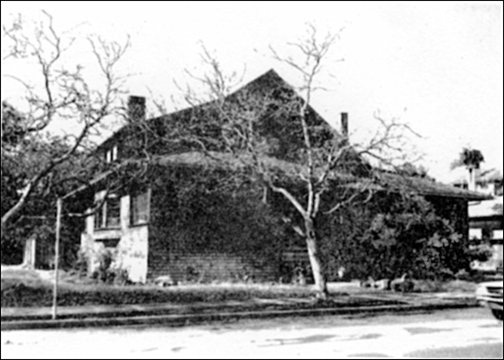 Physical appearance: The broad porch of this shingled, two–story house with battered base and generous roof expanse appears to have been enclosed at a time subsequent to its construction. 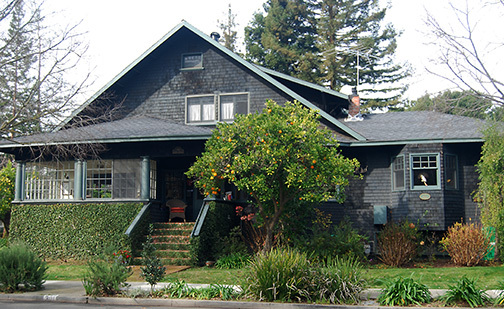 While not architecturally remarkable, it is a competent and compatible example of one of the stylistic modes of early Palo Alto which still contributes to the city's particular ambiance. 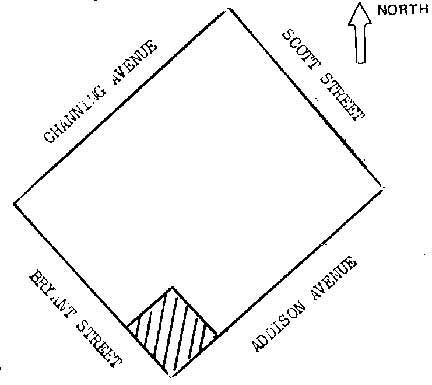 A shallow bay was added on the Addison Avenue side in 1984. 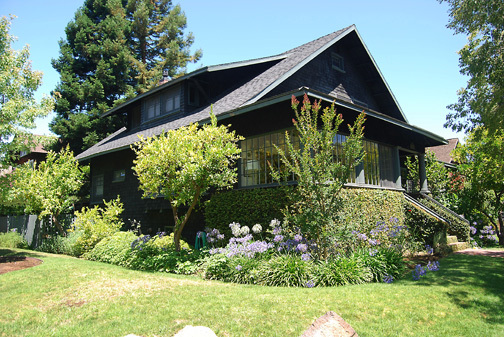 Significance: This brown shingled residence exemplifies one of the principal stylistic modes, the shingle style, that characterized early Palo Alto residential construction. It was built for William F. (Fletcher) * and Martha Constance (Smith) Hyde, and Mrs. Hyde's mother, Mrs. Elizabeth Smith. 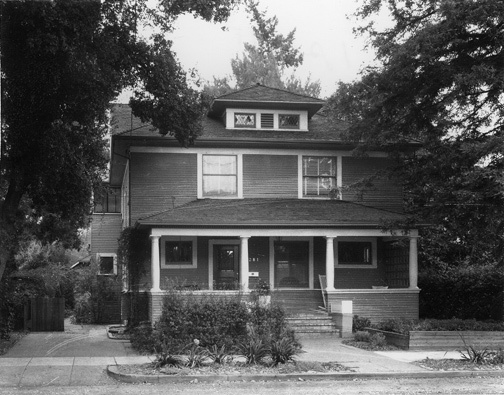 Hyde was a member of the large Hyde family which came to Palo Alto in 1897 (see 334 Lincoln Ave.). He studied at the College of the Pacific and at Stanford, where he managed the university Bookstore for sixteen years. He then began a career as an insurance broker. 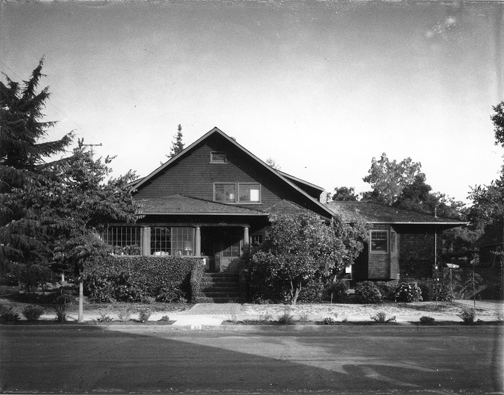 From 1915 to the mid–1950s the house belonged to Professor and Mrs. Henry L. Cannon. Cannon joined the Stanford faculty In 1903, teaching classical history. He died in the influenza epidemic of 1919, but his wife Grace and her family remained in the residence for four decades. During the 1960s, Mrs. Ruby White operated a boarding home for veterans in the house. Since 1972 it has been the Woodworth residence . 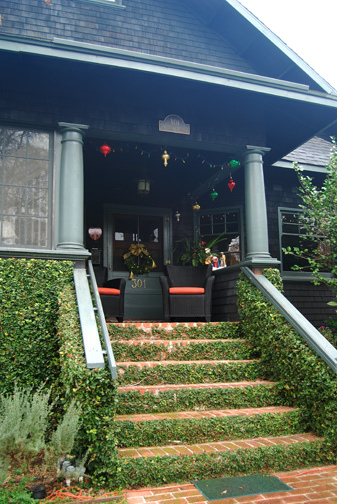 This house was built in 1901 and is a Category 3 on the Historic Buildings Inventory. A.W. 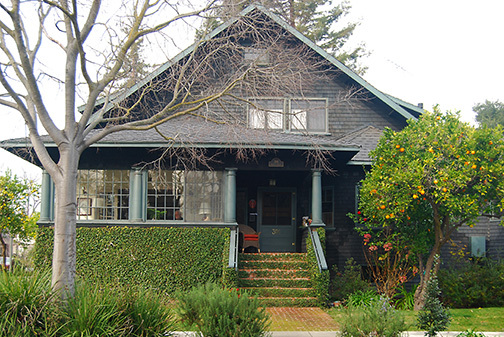 Smith of Oakland was the architect and the builder was Gustav Laumeister. The property measures 112.5 by 100 feet. * Originally listed as William H. Hyde.